The index opened flat and stayed positive barring the first few minutes of trade to close strong near at 7234.55, gain of 23.80 points. The broader market was positive with 877 advances to 661 declines. The range till expiry is 7000-7400. 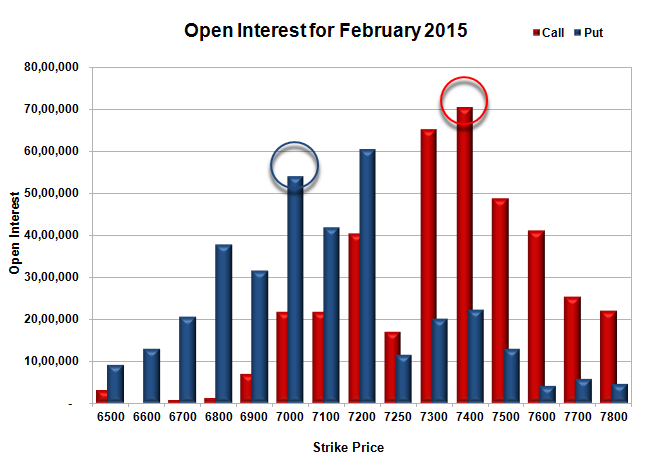 Call option 7250-7400 added huge 23.67 lacs OI with short covering seen at 7200 and below strike prices. Put option 7300-7200 added huge 19.02 lacs OI with profit booking seen at 7100 and below strike prices. Nifty Open Interest is at 1,86,09,075 down by 19,41,150, whereas Mar series added 16.70 lacs with increase in price, mostly roll-over with some short covering. Bank Nifty Open Interest is at 21,14,220 down by 1,24,260, whereas Mar series added 3.25 lacs with increase in price, 100% roll-over with huge long build-up. 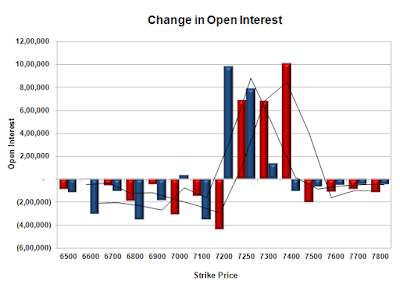 FII’s sold 1.78 lacs Futures, which includes net 3835 contracts long build-up and 10962 contracts short build-up, with increase in net OI by 14797 contracts, includes 69638 longs to 76765 shorts for the day. FII’s Index future open contract as on date is 174525 Longs to 169285 Shorts, Net 5240 down by 7127 contracts. 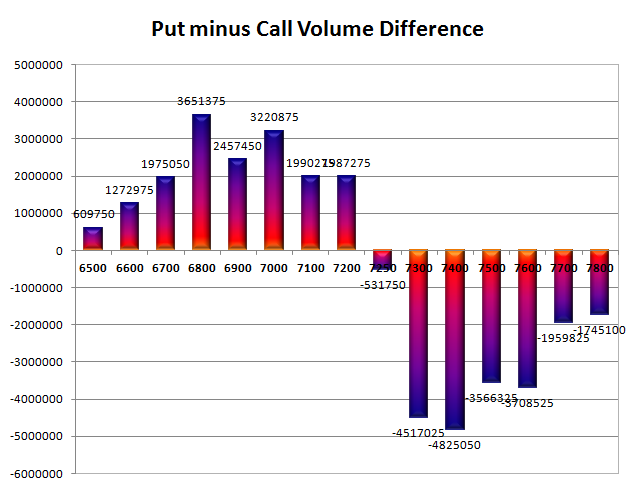 Initial and best support now at 7200, with OI of 60.36 lacs and below that at 7100 with OI of 41.74 lacs. 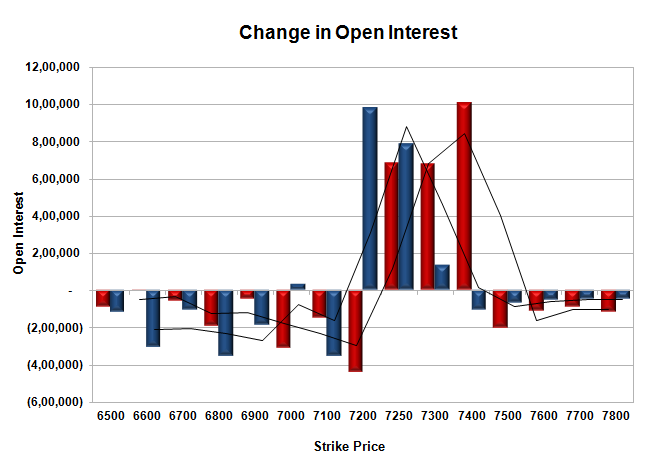 Initial strong resistance at 7300, with OI of 65.25 lacs and above that at 7400 with highest OI of 70.56 lacs. Day Range as per Option Table is 7140 - 7324 and as per VIX is 7155 - 7314 with 7229 as the Pivot.